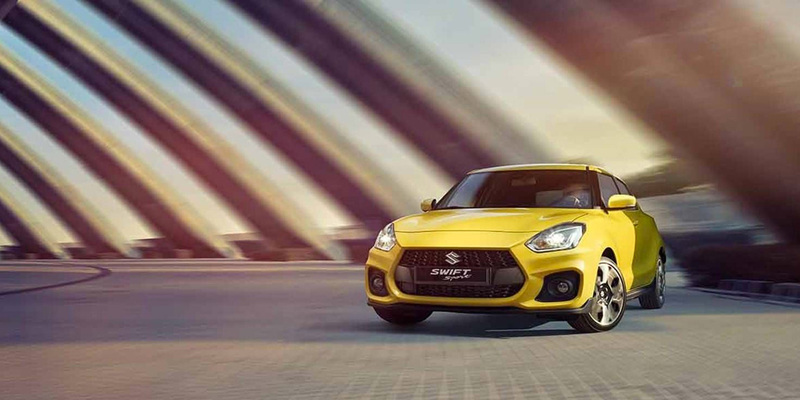 If you're looking for an electrifying driving experience, the new Suzuki Swift Sport will offer just that, and the roar of this new motor will be sure to make your presence known on the road. By buying with Motorparks, you'll be able to pull out in style and take the streets by storm. What are you waiting for? The new Suzuki Swift Sport, the bold and sporty hatchback is available now from Motorparks Suzuki and Invicta Motors Maidstone Suzuki. The performance of the new Suzuki Swift Sport is unlike no other. Equipped with an aggressive 1.4 Boosterjet turbocharged engine that has the ability to turn heads, your next drive will be sure to cause an adrenaline rush. Everyone wants to look good on the road, which is why the design of your vehicle should be a big purchasing factor - everything from the look and feel of the car. The new Suzuki Swift Sport will not disappoint in any department, from its lushest exterior to the lux interior all drivers deserve. The new Suzuki Swift Sport easily strikes a balance between an athletic aesthetic and an urban city run-around look. With 17” alloy wheels, this car will be a force to be reckoned with on the roads. The car itself has a reassuring bulky build with distinctive trims that highlight the main body colour, allowing it to grab the attention of any passer-by. With a striking new front grille to show off, you'll make the ultimate first impression. The interior of the new Suzuki Swift Sport is just as impressive. The dashboard trims and technology illuminate the front of the car which makes for an immersive experience when driving. With its lux finish, you'll definitely feel as though you're sitting in a speedier sports car in comparison to the Suzuki Swift. The technology included in the Suzuki Swift Sport transcends expectations with the most innovative features. From a satellite navigation system that helps you reach your destination without the troubles of taking a wrong turn to the rear parking camera from when you do, each journey is guaranteed to be smooth. You'll also benefit from adaptive cruise control and keyless entry/start system, which makes driving so much more efficient. On top of this, the DAB Digital Radio and smartphone display allows you to take control of the entertainment no matter where you're heading. Customise your Suzuki Swift Sport to your tastes. Make your Swift Sport your own by customising your car with body decal sets which include coloured wheel centre caps, painted stripes and door sill trims. Add extra style to your vehicle with door mirror covers, deluxe velour carpet mats, and a carbon-look fuel cap cover. Want to learn more about the Suzuki Swift Sport? Head to Invicta Maidstone Suzuki dealership - part of the Motorparks family.